Just because you’ve decided to go sulfate-free doesn’t mean that you have to sacrifice luxurious shower products. In fact, the most luxurious products are the ones that cleanse and hydrate your skin without any toxins or chemicals. 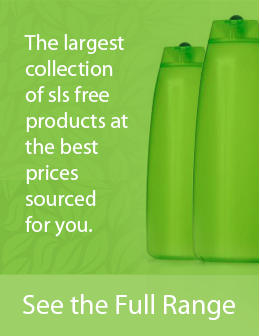 These SLS Free Body Washes are as healthy and good for your skin as they are decadent and beautifully scented. Here is a list of six gorgeous sulfate-free body washes for sale. Our top recommendation is Puracy Body Wash.
A fresh-smelling body wash that creates a rich lather. Features a unique blend of luxurious cleansers and essential oils. It’s energizing and refreshing, made of plant derivatives that are perfect for sensitive or troubled skin. Puracy Body Wash is also light enough to not irritate those with body blemishes or eczema. This body wash will make you feel like you’re at a ritzy spa in the comfort of your own shower. Paraben and sulfate-free, this body wash contains a rich blend of vitamins and essential oils that will hydrate your skin. The Nurture My Body brand produces a great lather and the scent is just as good as what you’d find at any spa. If you’re a guy who wants a sulfate-free body wash that smells definitively masculine, then the Man Cave Shower gel is the perfect product for you. This body wash is infused with natural botanicals to hydrate the skin and hair. Plus, it has a refreshing cedarwood scent that is strong, without being overpowering. Man Cave Shower Gel is the perfect choice for men. This beautiful body wash will make you feel like you just came from the spa. This product contains shea butter, spearmint oil and vanilla extract to truly moisturize and hydrate your skin. Sulfate and paraben free, Alaffia body wash is also free of DEA, TEA and petrochemicals. 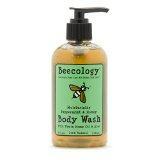 Start your day fresh with Beesential Body Wash. Thick and creamy, this product creates a thick lather that will sure to rejuvenate your entire body. Honey is the main ingredient, but this brand also contains peppermint, hemp, and coconut oils. When you take a hot shower your pores open up, and you don’t want to adsorb bad chemicals into your body through your pores. These chemicals can cause health issues, and sulfates in particular can irritate your skin. You want to feel good after a shower, not irritated. So if you want smooth healthy skin, and you want to feel good, then you need to go natural. So make sure to try out one of the products on our list. Your skin will love it!